Aquamarine and heliodor are both members of the beryl family related to emerald. Heliodor is the golden beryl and the name is aptly derived from, Greek meaning "sun gift". 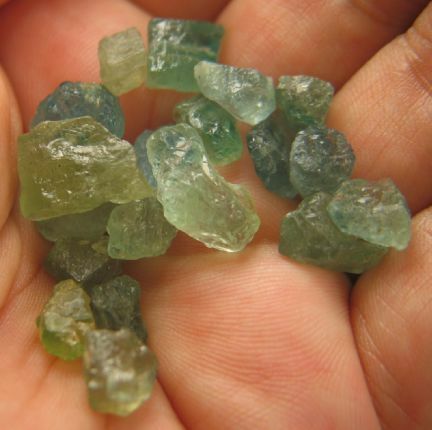 These rough gems are just yummy. 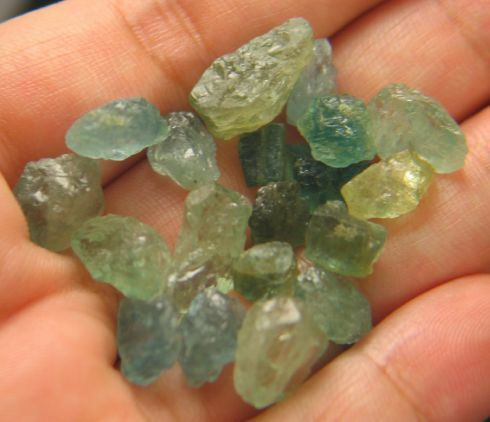 They have a brilliant blue color with just a hint of yellow so that the crystals have a green hue. But held in the light you can see the distinct colors of gold and blue. The energy is divine, like diving into a pool on a warm day, the sun on your back. Both invigorating and restoring. They lend you courage, aiding you to release your worries and fears and act with confidence. These stones are perfect for a healing pouch or grid! Size and weight are approximate. Price per each, quantities may be changed at checkout.